Now that the weather is warming up, I've begun to see more and more mosquitoes zipping around my backyard. The sight sends a chill down my spine, or more accurately, an itch all over my body. I'm one of those people whom mosquitoes love. Apparently, I'm just chock-full of the kind of sweet, sweet blood they crave. On a hot summer night, any time spent outdoors dooms me as a human sacrifice to those tiny, parasitic demons. For me, mosquitoes qualify as an annoyance and a buzzkill in warm weather. But as World Malaria Day approaches on April 25, I'm reminded that, for many people, mosquitoes are literally a buzzkill, especially in Africa. 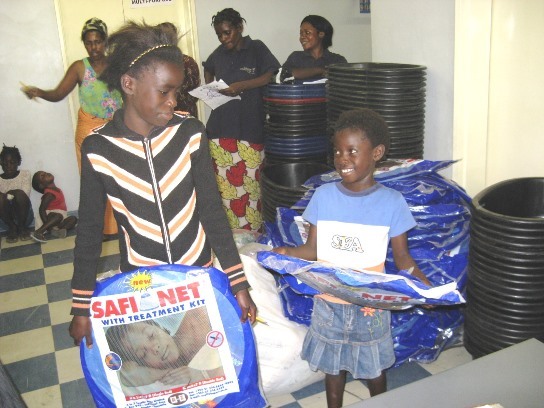 Continue reading the original blog post on Children International's website to learn more about malaria and what Children International is doing to help.